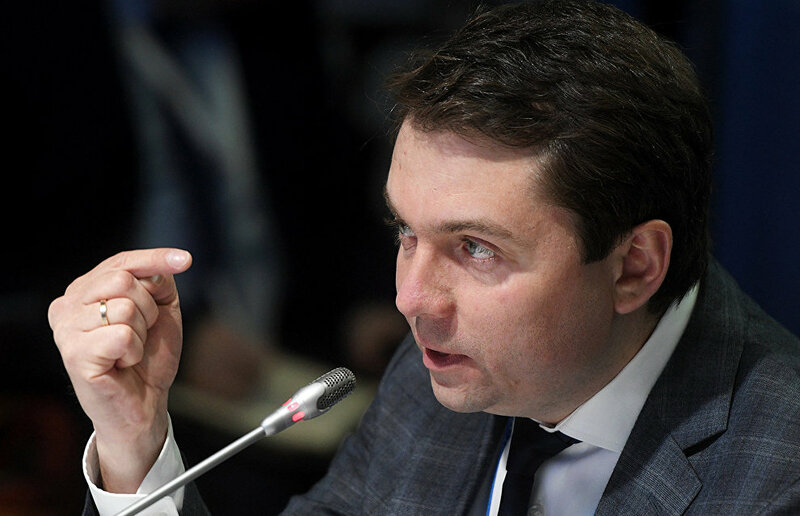 Acting Murmansk Region Governor Andrei Chibis said that he intends developing conditions to slow down the local population's departure from the region and to attract more people into the region by creating additional high-paying jobs. This he pointed out is one of the main challenges facing him in his new position. On Saturday, Presidential Plenipotentiary Envoy in the Northwestern Federal District Alexander Gutsan introduced Chibis to members of the regional government, legislature and top corporate executives in the Murmansk Region. Replying to journalists' questions, Chibis noted that he intended to work hard and hoped to use his knowledge and experience that he had accumulated at federal level, in this new region where he has never worked before. He sees one of his main challenges is to slow down the local population's departure from the region. "The dwindling population is the main challenge. When young, skilled and talented people in their prime of life are discussing the most popular cities to relocate to… I want to vastly reduce the migration flow and to incentivize people to come here, rather than leave for what they suppose are greener pastures… A lot of young people will be ready to settle down here if adequate living conditions are created," Chibis believes. In his opinion, it is necessary to accomplish numerous tasks, to reduce utility costs, to provide affordable medical care, etc. before creating favorable living conditions. On Thursday, Russian President Vladimir Putin accepted the resignation of Murmansk Region Governor Marina Kovtun and appointed Acting Regional Governor Andrei Chibis.